Oakwater Resort - Kissimmee, Florida is a resort paradise located only 1.5 miles to the area's main attraction, Walt Disney World. 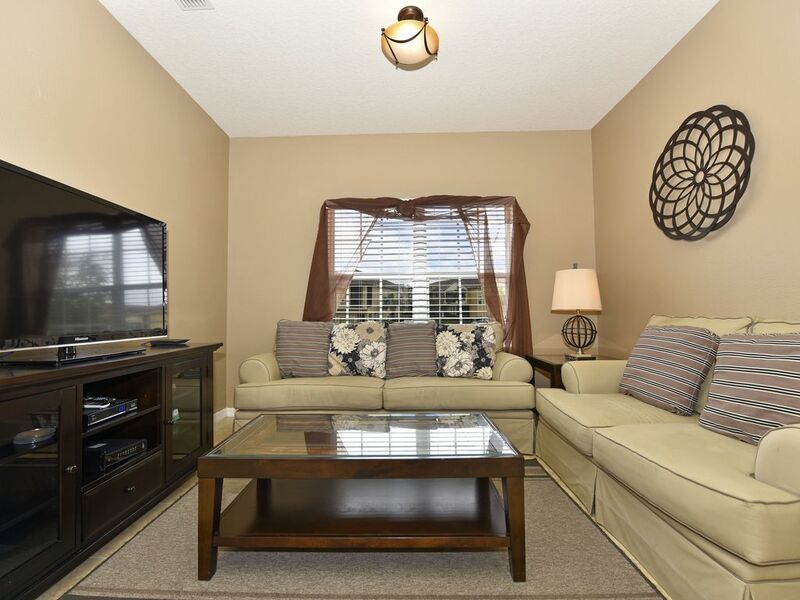 During your stay, you will enjoy this well-appointed townhome that has been designed and decorated to provide you and your family an abundance of luxury amenities and leaves you well equipped to vacation with all the usual items you would expect to find at home. Oakwater Resort is only a short 25-minute drive from the Orlando International Airport and is situated central to all of Orlando’s famous attractions. The resorts amenities include a 4000 sqare foot clubhouse, heated infinity swimming pool, spa, fitness center, sand volleyball, basketball, and children's playground and putting green. This spacious 2 bedroom holiday villa can comfortably accommodate a larger family or group of up to 4 people. Come stay in this wonderfully designed resort where you’ll enjoy luxury living at its finest. Whether you want to escape for peace and quiet, or would rather explore for a bit of adventure, Oakwater can fulfill all of your desires. Oakwater Resort was developed with the discerning vacationer in mind offering privacy and luxury all just minutes away from Orlando’s famed attractions. Oakwater Resort was developed to ensure that it was close enough to see all that Orlando has to offer as well as to make certain that there was plenty to do right within the resort. The community caters to groups, both family, and business oriented, and continues to be one of the best and most sought-after accommodations in the Orlando, Florida area. Florida’s renowned coastal regions are a short drive from Central Florida. Within an hour and 15-minute drive, you can be sunbathing in the sunshine state’s fabulous Atlantic Coast or enjoying the amazing waters of the Gulf Coast.